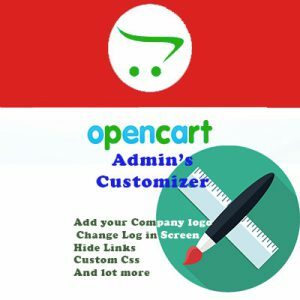 Opencart’s Admin Customizer gives you the tools to completelly personalize your store’s Admin Page limited only by your imagination. The purpose of this extension isnt to hide that your store uses Opencart’s Platform but to Customize yours or your client’s Opencart Experience. If its neccessary i might need access to your site’s Admin Panel or FTO and in some cases I might be able to help you with remote support software such as TeamViewer or Ammyy. If you like my module give one or two minutes of your time to rate my extension in Opencart’s Marketplace or share this page on social media using the links below. Thank you!